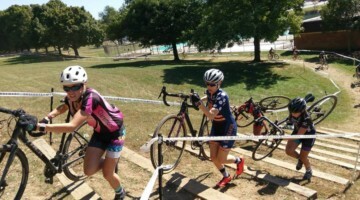 Last month, Andy Ward, one of our European contributors who helped with our reporting of the Milton Keynes World Cup last year, is currently training for his first race at the iconic 3 Peaks Cyclocross Race in September. He is laying out his early goals, and attempting to attack them by integrating his training into his commute as he planed in his beginner’s guide. Today, he focuses on the appropriate bike setup for tackling the event. The Three Peaks is a challenge that tests man and machine to the limit. The last few weeks have seen me working hard on my fitness, but preparing my bike has occupied me almost as much. 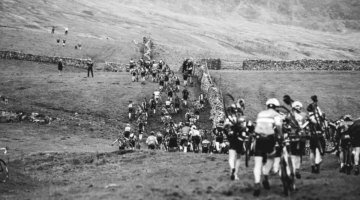 With boulders, loose rocks, raised drainage channels, muddy bogs and 18 miles of Tarmac, it’s a course that needs a different approach to a standard league race. Most of my cycling life, I’ve strived to have the lightest bike possible. Since gaining an entry to the Three Peaks, I’ve had to change my view. I’ve asked the experts and they all agree: in this race, sturdy and reliable beats fast and feathery every time. 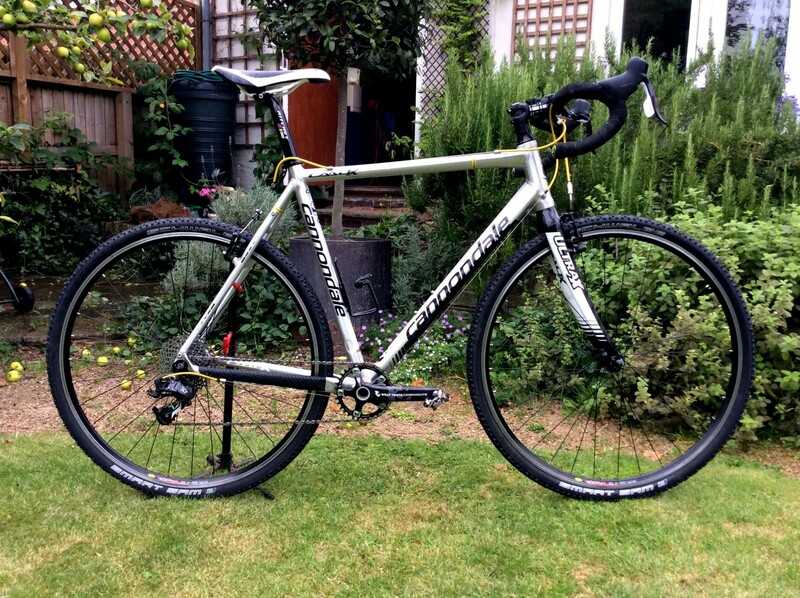 Most 3 Peaks veterans go for Schwalbe Landcruisers, a solid clincher built more for commuting and touring than racing. 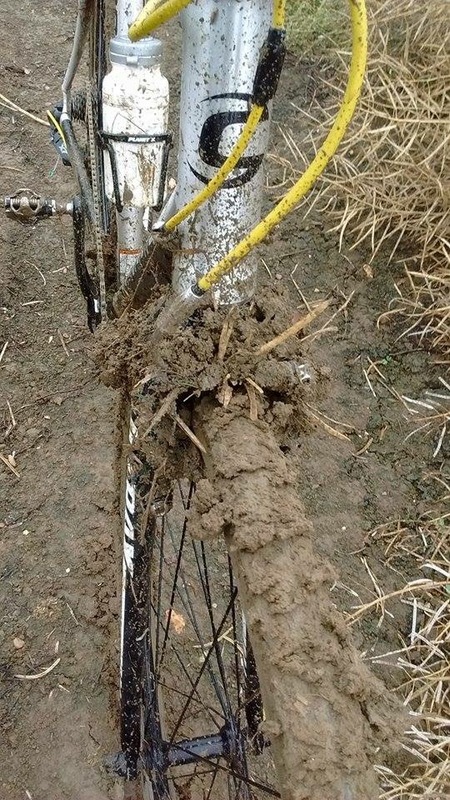 I gave them a try, but after a bit of a nightmare on a wet and muddy training ride, developed severe tire doubt: an affliction best avoided in cyclocross. I’m told that mud is not usually an issue in the Peaks, but that lack of confidence led me to look elsewhere eventually settling for the similarly tough Smart Sams. They’re a bit less “shiny” than the Landcruisers and so far, I’m happy. A word about pressures. With those rocky descents making pinch flats almost inevitable, I’ve been advised to run 70-80psi. Bouncing down a bridleway on hard tires takes some getting used to (as a painful crash demonstrated) but I figure now’s the time to get used to it. Generous helpings of Stan’s sealant and a solid pair of 32 spoke wheels complete the somewhat weighty package. With 5000 feet of climbing in its 38 miles, the Three Peaks needs careful gear choice. Simon Burney, author of Cyclocross: Training and Techniques, was very specific: “you’ll never have a low enough gear and it can mean riding (even at walking speed) quite a lot of distance that you’d otherwise have to spend on your feet.” With at least 4 miles unrideable, including the viciously steep ascent of Simon Fell, I’m told a 1:1 gear can be a blessing – particularly when approaching Pen-y-Ghent near the end. 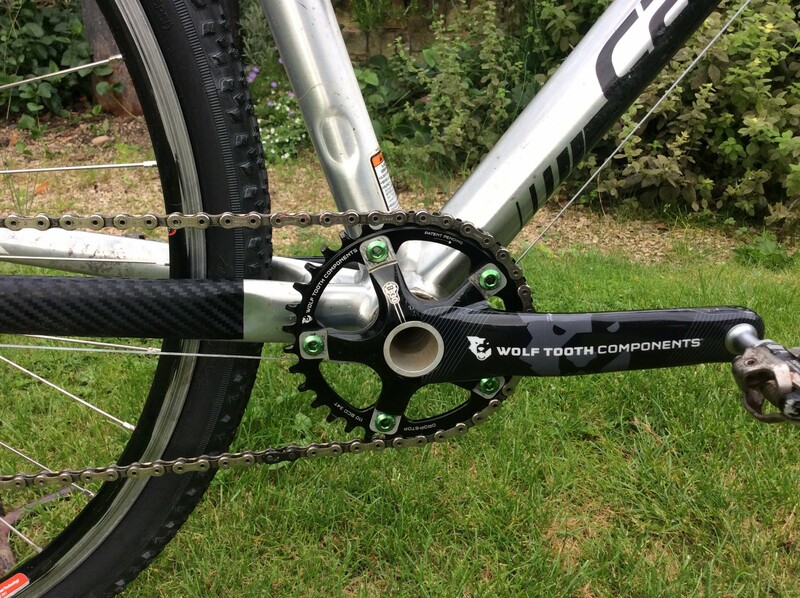 I’ve combined a 34 tooth Wolftooth Components drop stop chainring with the 36-11 cassette off my mountain bike, giving me the granny-est of granny gears. Add a clutched mountain bike derailleur and I’ve been rewarded with smooth performance and an unshakeable chain, despite throwing my bike down some of the worst of Leicestershire’s chewed up bridleways. Disc brakes weren’t an option when I purchased my Cannondale, so I’m relying on rim brakes for control on what Chris Rathbone describes as the “insane” descents. A mini-V brake fitted on the front gives me more stopping power than the stock cantis. Setting it up can be difficult and on a recent wet training ride the lever was hitting against the bar when I tried to apply maximum force. Not a problem on the short descents round here, but a bit of a concern when careering down Ingleborough. Fortunately fellow 3 Peaks entrant and Team GB mechanic Nick Walling came up with an easy solution. At the top of each peak, give the barrel adjuster a twist to tighten the cables – what’s a bit of brake rub on the white-knuckle plunge to the bottom? I’ve also added cross top levers on Nick’s advice to enable me to brake from different positions on the long and uncomfortable descents. So it might be 1.5 kg heavier than in race spec, but I’m pretty happy with the set up. I’m open to any more suggestions though – if you have any send me a tweet. Now it’s just the small matter of getting my body up to speed and preparing for the big day. I’ll keep you posted. MSRP: unknown – mixture of borrowed parts, eBay bargains and swapsies! Really? Nobody checks? But is that still in the spirit of the rule? I’d be adding some glitter to the stans.. at that pressure it can be watery and struggle to seal…. 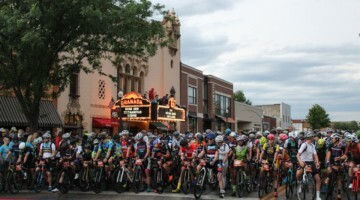 That bike belowlooks like a 29er mtb frame ? For the smallest gears, don’t think about riding your bike, you can walk/run (plan your training schedule around running !) this is physically more demanding but don’t forget there will be probably lot of wind (you’ll be more stable on your feet) and you will always have someone in front of you, it’s harder to overpass/deal with a fellow wich is in troubles just in front of your wheel ! Don’t forget to add some foamy tube pad for shouldering the bike with comfort, and you have to get a special emergency blanket (that you can buy locally). I asked riders who’d done it before whether s/s would be a good idea. Think I’d need to be younger, stronger and lighter or have a selection of bikes on the route 🙂 Good luck if you go s/s! Love the colour scheme! Think I’m committed to my gearing. Alternative is my race chainring which is a 42! Been out today practising high cadence and have undergeared the SS commuter, my knees will be a blur! Why not just ride a MTB? Paul Oldham told me a lot of riders this year will be opting for disc brakes, 1×11 drivetrain & 10-42T cassettes, so yes, apart from 10mm extra tyre width, flat bars & shocks, they’re almost riding MTB set-ups. Full MTB set-up might be a bit slow on the road sections though!